The mitogen-activated protein kinase (MAPK) signaling pathway is activated by a number of extra and intracellular stimuli including cytokines, growth factors, and hormones as well as stressors such as oxidative and ER stress. 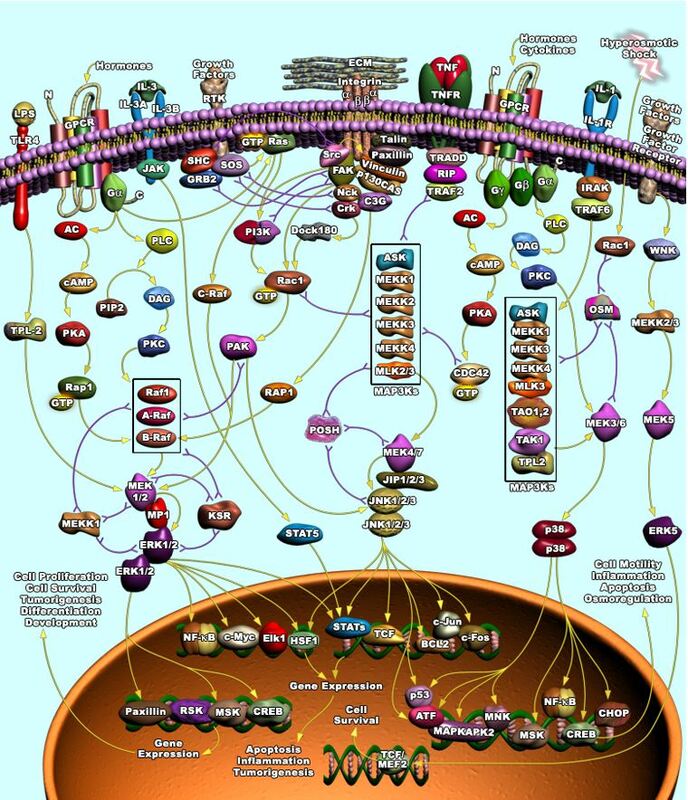 This pathways plays a key role in the regulation of many cellular processes including proliferation, differentiation, the stress response, motility, growth, differentiation, survival, and death. Abnormal MAPK signaling may contribute to increased or uncontrolled cell proliferation and/or resistance to apoptosis. To study this complex pathway, several tools are available, from the pathway specific arrays for an initial screen, to phospho-specific ELISA tests for individual target validation. 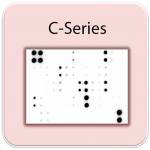 This post aims at helping you to easily identify tools to explore this pathway in your samples (from arrays to phospho-ELISAs). However, I could not start without showing you once more one of these eye-catching illustrations of cell signalling pathways. I’ll let you explore it to dig out the MAPK protein cascade among all of them (a kind of Where’s Wally for the researcher !). MAP Kinase cell signaling pathway – but which ELISA test or array should you choose to study it? The RayBio® Human/Mouse MAPK Phosphorylation Array Kit (AAH-MAPK-1) is a rapid, sensitive, and economical tool for the simultaneous detection of the relative levels of 17 phosphorylated MAPK pathway proteins. 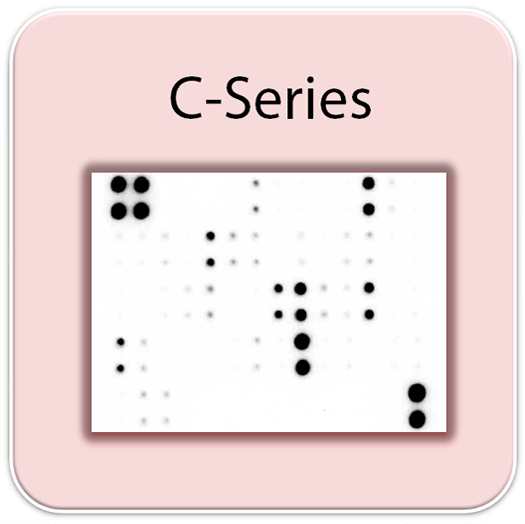 Each antibody was carefully validated using appropriate cell lysates. With the RayBio® Human/Mouse MAPK Phosphorylation Array Kit, you can verify multiple activated targets in your system without spending excess time and effort in performing multiple ELISAs and/or Western blots. Once identified, you can validate the targets of interest with a dedicated phosphoELISA. To help you identify which tool to use for each target, I have included in the table below the array map of the RayBio® Human/Mouse MAPK Phosphorylation Array Kit. If you click on each of the 17 targets individually, it will give you access to the corresponding phospho-ELISA. As you have noticed in the illustration, the RayBio® Human/Mouse MAPK Phosphorylation Array is a membrane based array. You may prefer to benefit from the advantages of a fluorescence based array. 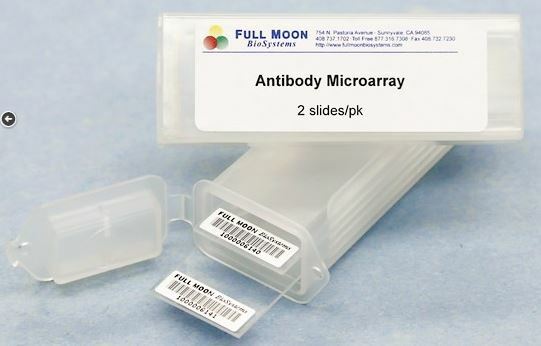 In that case, there is an alternative with the MAPK Phospho Antibody Array from Full Moon. 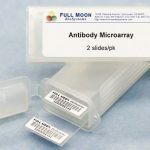 If you’re interested, I can provide you with the full array layout and antibody list (with reactivity info, isotype, phospho-sites and gene ID for the 185 antibodies), just leave your request below. If you’d like some further advice in choosing the right ELISA test or array for your cell signalling research, don’t hesitate to post your questions below, I’ll be pleased to answer your comments!